Kat proved that she is a real pro at keeping track of dates and acting on them in her amazing birthday mailings for Guido's Birthday Mania. I received a slew of birthday mail art but I was not alone. It was at least a 365 of birthdays! 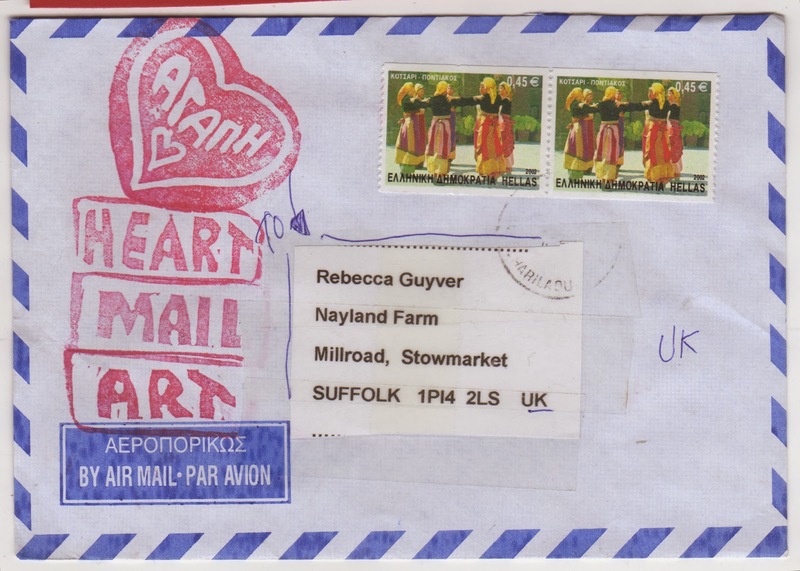 I made a stab at doing a few, but why should mail art be any different; I'm just not a follower of dates… so Kat's mailings are that much more special for me! 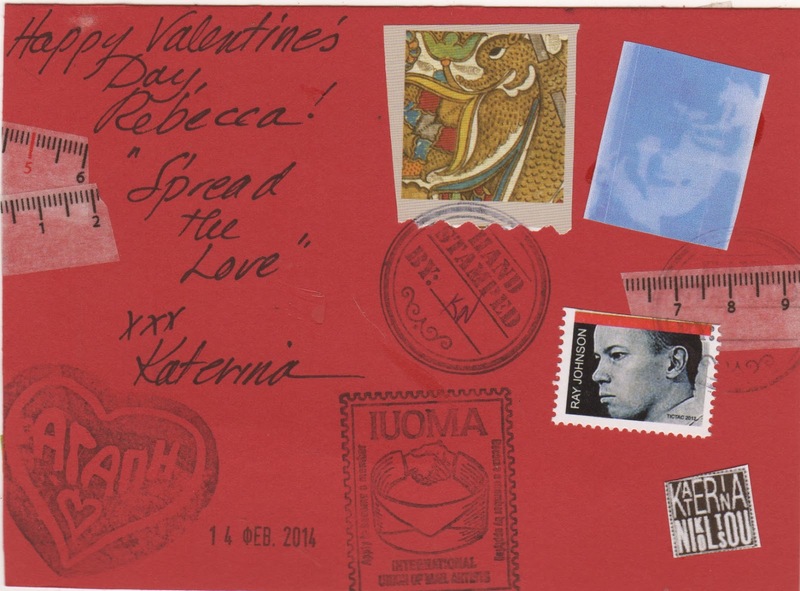 I don't know how many valentines Katerina sent out but I am very pleased to be one of the lucky recipients! 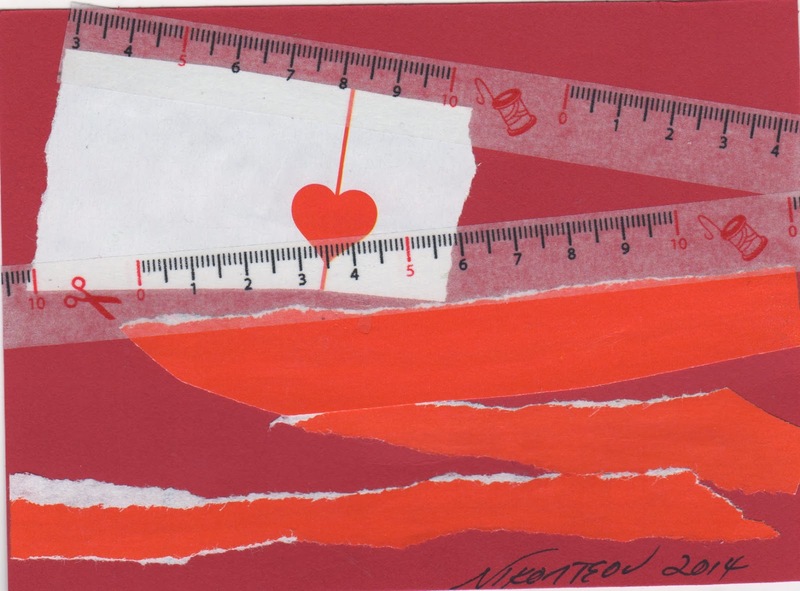 The graphic nature of this valentine seems just right and the stamps and stamping are fun. Many thanks Kat!